Wrangler is BACK! And we love their new styling of classic heritage jeans. 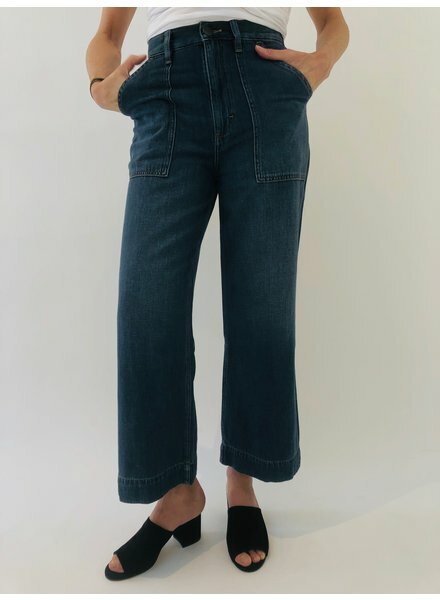 These are an updated painter's pant with utility pockets, a high waist and cropped wide leg in bone denim. Love. Classic five pocket style. Slim fit. High rise. Zipper fly with button. Straight leg. Classic back pocket design. Fabric: 96% Cotton/3% Polyester/1% Spandex. Machine wash.
Mid-rise denim crafted in a dark black wash with a cropped baby boot flare and a raw hem. Wrangler's new classic five pocket in a stretch medium blue denim with a slim fit, zip fly and straight leg. Classic Wrangler back pocket. Fabric: 96% Cotton/3% Polyester/1% Spandex. Machine Wash. 28" inseam. 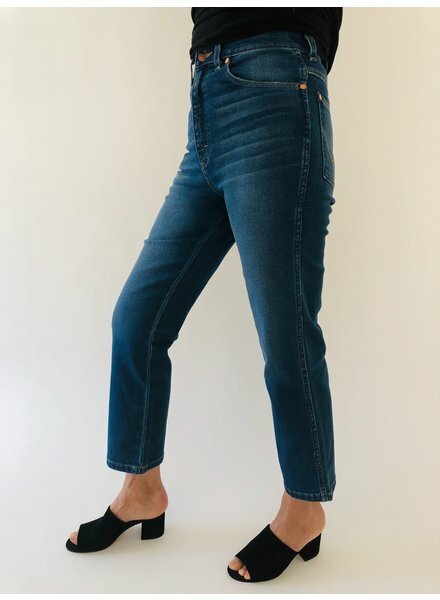 This 3x1 straight leg, slightly cropped jean features a mid rise silhouette with a closed hem and silver hardware. The Corey wash is a medium blue with navy tonal stitching in a stretchy 10.5 oz Italian denim. Erica's favorite jean! Made in the USA. 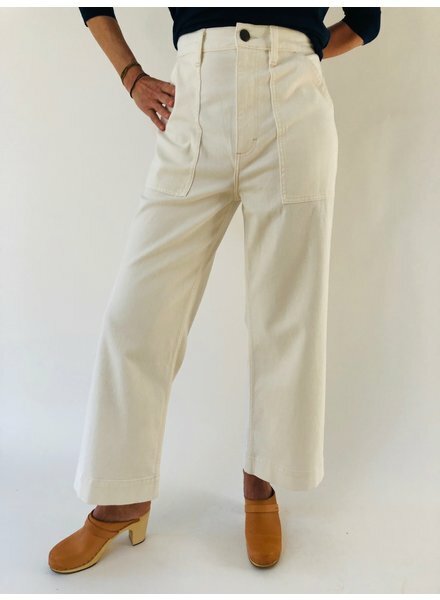 Skinny leg cropped pant in white denim. Frayed bottom. Made in NYC.